I am SO excited to be collaborating with Elle of Living in Color Style, a fellow teacher and new blogger friend whom I absolutely adore!! Elle is the SWEETEST, most stylish lady! I am always inspired by the outfits she comes up with, especially for the classroom! Hop on over to Living in Color Style to see what I’m talking about!! I love wearing floral prints, especially in the summer time! What’s even better? 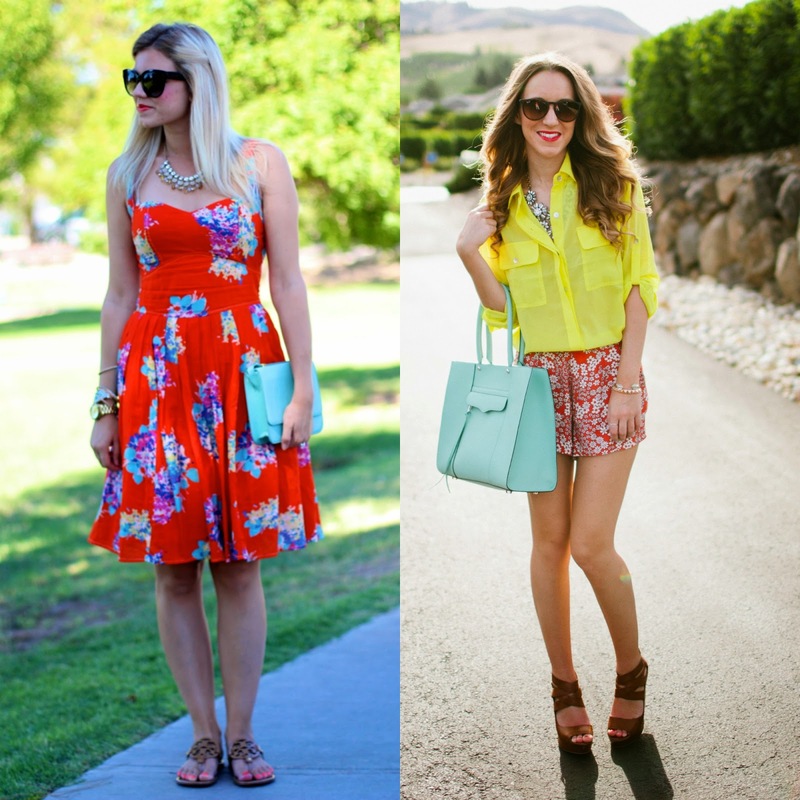 Pairing them with loud, bright colors! I love these fun little shorts with the retro floral print and loved that they came in this fun orange, perfect for summer! I automatically knew I needed to pair it with neon yellow and of course my minty fresh bag, for a super bright, summer fun vibe! This outfit is perfect, so summery! Gorgeous mix of yellow and red, love this look! love both of these looks! way to pair the bright yellow with the florals, the brighter the better!! i agree that elle is just the sweetest and cutest thing!! I am loving all the color mixing that is happening right now! And those heels are so cute!